As part of the fieldwork for the AHRC Imaging the Bible in Wales Project, many hundreds of photographs of stained glass windows were recorded from places of worship all around Wales. 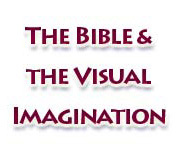 Many can be found on the Imaging the Bible in Wales Database, and some will be included in the forthcoming book Biblical Art from Wales and DVD-ROM Imaging the Bible in Wales, to be published in 2010. 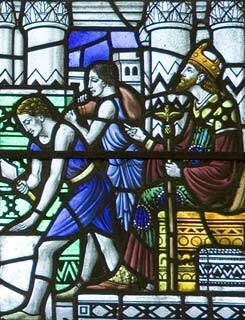 Martin Crampin, now Research Fellow at the University of Wales Centre for Advanced Welsh and Celtic Studies (one of the AHRC Project partners), is currently adding additional material to the Imaging the Bible in Wales Database, and working towards a new online catalogue of stained glass in Wales.